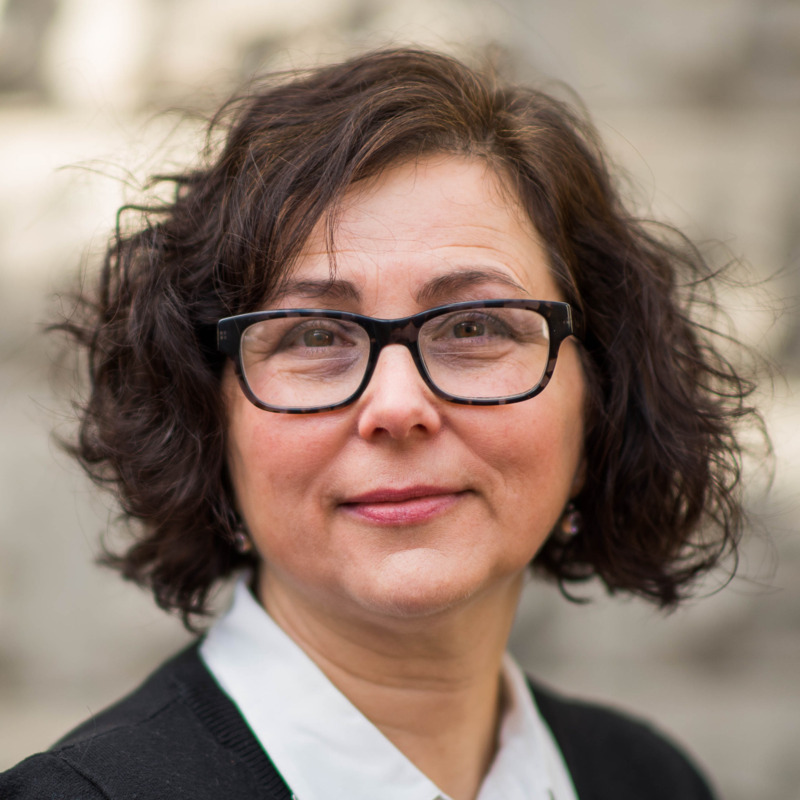 This reading group guide for Bachelor Girl includes an introduction, discussion questions, ideas for enhancing your book club, and a Q&A with author Kim van Alkemade. The suggested questions are intended to help your reading group find new and interesting angles and topics for your discussion. We hope that these ideas will enrich your conversation and increase your enjoyment of the book. A mysterious bequest made headlines in 1939 when Jacob Ruppert, a wealthy brewer and owner of the New York Yankees baseball team, left much of his fortune to an unknown former actress named Helen. Inspired by this true-life event, Bachelor Girl imagines Helen’s story along with that of Albert Kramer, Ruppert’s personal secretary, and their unconventional relationship. Set against the dynamic backdrop of New York City during the Jazz Age, this intimate and intriguing novel explores the destructive consequences of secrets and the redemptive power of love in all its shapes and colors. 1. For years Helen harbored animosity toward Colonel Ruppert because of his part in her father’s death. Why do her feelings toward him begin to change during the afternoon she spends with him and her family at the ballpark? Ultimately, how does Helen come to view Ruppert? 2. Even as a child, Helen rebelled against the traditional gender roles expected of women during her day. In what ways does the term “bachelor girl” apply to Helen? How successful is she in charting her own path? 3. Helen is devastated to learn that she was given a hysterectomy while undergoing emergency surgery. How much of an impact does her inability to bear children have on her life and the decisions she makes? 4. Share your thoughts on Helen and Albert’s relationship. Are they both equally invested in the relationship? How much of their connection is based on the fact that they each see themselves as “damaged”? 5. How significant are the various secrets kept by the characters in the novel? Do you agree with Teresa Winthrope’s decision not to tell Helen about her true parentage? Why do you suppose Colonel Ruppert never revealed his identity to Helen despite their close relationship? 6. Discuss the different views the various characters have about being gay, including Albert, Felix, King, and Jack. Albert believes there are two types of gay men—“dolled-up pansies” like himself and “the rough men our rouged faces were meant to attract” (page 122)—and that each plays his role. How does his relationship with King make him rethink this belief? 7. When Albert reveals to Helen that he is an “invert,” she infers that he is incapable of sexual passion. Does he mislead her, or does she misinterpret the situation? How does the medical opinion at the time that homosexuality is “abnormal” influence Albert’s concept of himself? 8. In the novel, Albert frequents “pansy” bars in Greenwich Village and drag balls in Harlem. Were you surprised that gay life was as open as it was at the time in New York City? Why, then, is it necessary for Albert to live a double life? 9. Despite her friendship with Clarence, Helen is ignorant of the challenges that constrain his choices in life. Throughout the novel, in what ways does Clarence educate Helen on the discrimination he faces as a black man in New York City? 10. When Ruppert closes down Pipsqueak Productions, Helen realizes how vulnerable she is to “the whims of a millionaire” (page 297). Why then does she abandon the idea of moving to California and relent to Ruppert’s entreaty that she give up on a career? 11. Helen conspires with Ruppert twice to keep Albert and King apart, first having King sent to Missouri and then to California. Is she motivated more by a desire to protect Albert or by her own self-interests? Was she right or wrong to do this? How does she justify her actions? 12. Throughout the novel, Osamu Nakamura, Ruppert’s butler, is an unobtrusive yet constant presence. When he finally tells Helen his story, how does that make you reconsider his character? 13. Were you surprised that Helen orchestrated a reunion between Albert and King? Why does she do this just as she and Albert are finally on the cusp of marrying? Do you think she expected the outcome that transpired? What would you have done if you were Helen? 14. On her return from Florida, why does Helen allow herself to be seen as black so she can ride in the train’s Colored compartment? Why does becoming an heiress finally allow her to imagine a future with Clarence? What similarities and differences are there between the romantic relationships Helen and Albert ultimately pursue, she with Clarence and he with King? 1. Plan an outing based on one of the activities central to the story line in Bachelor Girl. Take your book club out to the ball game and watch a local team in action. Many cities host minor league teams that allow spectators to get up close at an affordable price. 2. If the stage is more your group’s style, plan to see a theater production together. You don’t need to travel to Broadway to enjoy live theater. Look for a community theater production, or attend your local high school’s annual play or musical. 3. In the spirit of the Ruppert family business, serve a selection of different beers. Or mix up some Prohibition-era cocktails using the recipes at www.cocktailflow.com/collection/prohibition-era-cocktails. 4. Head to the Hudson Valley in New York State. Colonel Ruppert’s domain, Eagle’s Rest, is now a home for children, and his family’s estate, Linwood, has become the Linwood Spiritual Center. But open for tours in Hyde Park is the Vanderbilt mansion, a magnificent structure that evokes an awed whistle from Albert. Slumber at the Beekman Arms in Rhinebeck, which has operated continuously since 1766 and is referenced by Helen in the story. 5. Pair your reading of Bachelor Girl with Kim van Alkemade’s previous novel, Orphan #8, a historical fiction story partly set in New York City. Learn more about the author and her page-turners at www.kimvanalkemade.com. 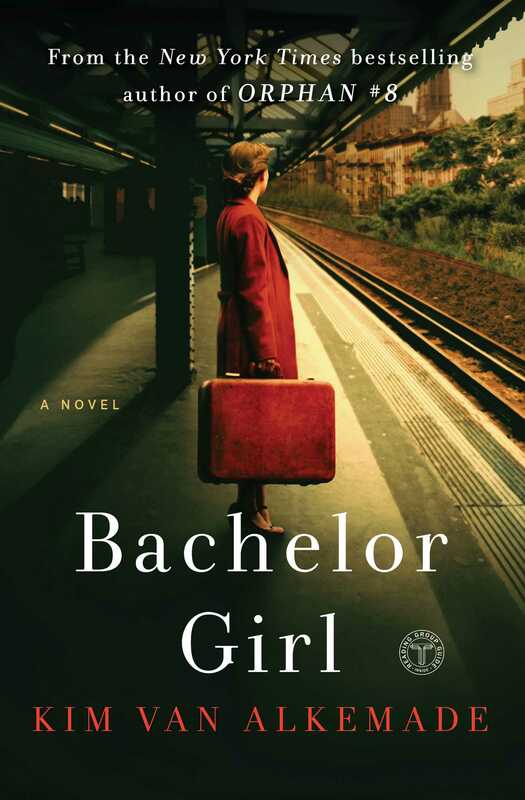 Bachelor Girl is based on a true event, brewer and baseball owner Jacob Ruppert’s bequest to an actress named Helen, to whom he left a significant portion of his fortune. How much is known about Helen’s life? How did you go about weaving fact and fiction to tell her story? I know very little about the real Helen’s life, which is how I like it, because my character is fictional. The real Helen was named Helen Weyant. She used Winthrope as a stage name, so when I wrote my character, I used that name because it was the character Helen imagined herself to be, and it’s who I imagined her to be, too. I do know the real Helen Weyant was a former actress who lived with her mother and never married. I know she went to dog shows with Ruppert because I have a picture of her with one of his prize Saint Bernards. In my research, I was struck by the fact that, in the archives at the Baseball Hall of Fame in Cooperstown, New York, there is a file for Jacob Ruppert and a file for Helen’s brother, Rex, who really was the traveling secretary for the Yankees, but there is no file for Helen Weyant even though she actually owned the team. Other than these few facts, I enjoyed having free reign to invent Helen Winthrope as my own character. In the early twentieth century, bachelor girls—working women living on their own terms—caused a stir and even had the press reporting on them. Just how innovative was it to be a bachelor girl like Helen at the time? It was more common than we would think now. The New Woman movement of the 1890s really set the stage for the Bachelor Girls of the 1920s. Advertising catered to Bachelor Girls by offering such things as chafing dishes that allowed women to live independently without kitchens, and there were advice columns devoted to the Bachelor Girl. It was assumed that most Bachelor Girls would eventually settle down to become wives and mothers, but it wasn’t terribly unusual for a woman to never marry—though she would be considered a spinster if she stayed a Bachelor Girl for too long. Helen’s bequest from Jacob Ruppert was headline news, even making the front page of the New York Times on January 21, 1939. What became of Helen after she received her inheritance? I know very little about what happened to the real Helen Weyant. As far as I know, she bought a house in the suburbs and lived a quiet life until her death, never having taken to the stage again. Unlike in my novel, Helen did not inherit Eagle’s Rest, which was sold in 1944 for $55,000 in back taxes to the Greek Orthodox Ladies Philoptochos Society. The estate is now the home of Saint Basil Academy, a home for children. Why did you decide to structure the novel in alternating chapters told from Helen’s and Albert Kramer’s perspectives? Did you ever consider telling the story solely from Helen’s point of view? In fact, just the opposite! I first conceived of the novel as only from Albert’s point of view as Jacob Ruppert’s secretary, but developing Helen’s character made the whole novel come to life. The relationship between the two of them and to Jacob Ruppert became the dramatic engine that drove the novel forward. Like Helen and Ruppert, is Albert based on a real-life figure? Jacob Ruppert really did have a loyal personal secretary named Albert who served him for twenty years and was at his bedside when he died. I know hardly anything about the real Albert, except that he was married and did inherit $10,000 from Jacob Ruppert. The character in my novel is not based on him at all. I wanted to imagine Albert Kramer as a gay man because it allowed me to explore aspects of Jacob Ruppert’s character that were very enigmatic. Researching Jacob Ruppert got me thinking about the different ways we understand sexuality today compared to how male sexuality was understood in the 1920s. It wasn’t uncommon for men to remain bachelors for whatever reason, and it wasn’t until after the Depression that people started getting married much younger and it became more suspicious to be a lifelong bachelor. New York City in the 1920s and ’30s is a dynamic and socially complicated place, and the novel is filled with interesting details about Prohibition (which Ruppert didn’t think would pass), race relations, sexuality, and class differences. How did you go about researching the time period? What did you discover that most surprised you? When we think of 1920s New York, we tend to think of jazz clubs, flappers, and bootleg whiskey—thanks to The Great Gatsby, I suppose—but there were also thousands of diverse people living their lives within the constraints and privileges of their various identities. My first rule with researching historical fiction is to read in the time and as well as about the time. I read newspapers from the time, such as the New York Times, and I also read the NAACP magazine The Crisis, both of which are available online. I also read novels published in the 1920s and 1930s, which were racier than you might imagine, with both gay and straight themes. I also read histories like George Chauncey’s Gay New York, Robert Beachy’s Gay Berlin, Michael Lerner’s Dry Manhattan, and James Weldon Johnson’s Black Manhattan. I also visited many of the places in New York City that became settings in the novel. For example, I climbed the stairs from the old Polo Grounds, crossed the High Bridge, went to the site of Ruppert’s mansion on 5th Avenue. I also toured the Linwood estate in Rhinebeck, New York, and Eagle’s Rest in Garrison, New York. What’s really amazing is that while I was writing this novel there was a revival of Eugene O’Neill’s The Emperor Jones and a revival of the musical Shuffle Along; luckily, I was able to attend both of those shows in New York. Your debut novel, Orphan #8, is the story of Rachel Rabinowitz, a child placed in a Jewish orphanage in 1919 and subjected to medical research. In Bachelor Girl, an orphanage also features in the plotline. Did you plan this connection, or did it emerge later in the writing process? I came upon the idea for Bachelor Girl while I was researching Orphan #8 because the New York Yankees really did consider purchasing the Hebrew Orphan Asylum property for their stadium. I was following up that line of research when I discovered the story of Colonel Jacob Ruppert, his secretary, Albert, and his surprise inheritance to an unknown actress named Helen. At the time, the big New York orphanages were really beginning to close down in favor of foster care and group homes and there was a lot of competition around fund-raising—that’s what gave me the idea for the character of Felix Stern, who crosses paths with Albert Kramer, thus giving me the opportunity to imagine the link between the Yankees and the orphanage. The behind-the-scenes details about the New York Yankees—including the team’s acquisition of flamboyant star player Babe Ruth—are intriguing. Having grown up in New York City, are you a Yankees fan? My mom grew up down the street from Yankee Stadium in the Bronx—my grandpa used to complain about the parking whenever there was a game—but sadly I never got to go to a game in the original stadium. I did love learning about Babe Ruth and how the New York Yankees acquired him from the Red Sox. My version of the Harry Frazee story, while inspired by some reported facts, is no more true than most legends about the famous acquisition of the Sultan of Swat. What are some of the challenges of crafting historical fiction? How did the experience of writing this novel differ from that of Orphan #8? With Orphan #8, I really had to unlearn the academic writing habits I’d internalized from writing a dissertation. In academic writing, there is no room for fiction, while fiction gives me the freedom to imagine characters to a depth that I would never achieve in academic history. On the other hand, all the research skills I acquired as a double major in English and history serve me well as a writer of historical fiction. The biggest lesson for me, in the style of historical fiction that I write, is that the story is the most important thing. With Orphan #8, maybe five people in the world even knew I was writing a novel! It took me five years to write because I was learning as I went, and getting it published was an amazing surprise. With Bachelor Girl, I had a publication date before I even finished my first draft, so the process was much more rigorous and I really felt the weight of expectation. I’m still worried that people might not like my bachelor girl as much as they liked my little orphan, but I hope they’ll give her a chance! An important setting in Bachelor Girl is New York’s Hudson Valley, home to the Ruppert estates Linwood and Eagle’s Rest. What can you tell us about your trip to the area to do research for the novel? It’s such a gift for a novelist’s imagination to be able to actually go to a place where your story is set. I went to Linwood first, which is now a spiritual center. The original Ruppert house no longer exists, but I was able to get a feeling for the place and some beautiful descriptions for the novel. At Eagle’s Rest, I was given a tour of the mansion, which still stands. The most amazing moment was when I was shown into Jacob Ruppert’s bedroom. I had already written the scene where Ruppert and Helen sit together on the window seat and look out over the lawn at Albert, and when I walked into the actual room, the window seat was there exactly as I had imaged it! The pocket door was a detail I learned on that visit. Knowing that Eagle’s Rest was now a home for children gave me the idea that Helen should turn the place in to an art school where children could live and learn. Shakespeare is referenced numerous times in Bachelor Girl. Are you a fan of Shakespeare’s works? Yes, I am a fan! For an English major, it’s really fun to have a reason to use my knowledge of Shakespeare. For me, though, the revelation was Eugene O’Neill, because he was a contemporary American playwright in the 1920s whose vision for the theater was quite bold. The story of Charles Gilpin and The Emperor Jones was fascinating to learn about. I also learned about Ira Aldridge from seeing the play Red Velvet staged in Harrisburg, Pennsylvania, while I was writing the novel, and about the actress Charlotte Cushman from seeing her portrait in the National Portrait Gallery in Washington, DC. In fact, I named the character of Mrs. Harshman in honor of a Shakespeare scholar who helped me understand more about the world of the theater and the job of a dramaturge.